Before he served as the 28th President of the United States, from 1913 to 1921, before he won the Nobel Peace Prize in 1919, THOMAS WOODROW WILSON (1856–1924) was a lawyer and an academic: a university professor of history and politics, and president of Princeton University. 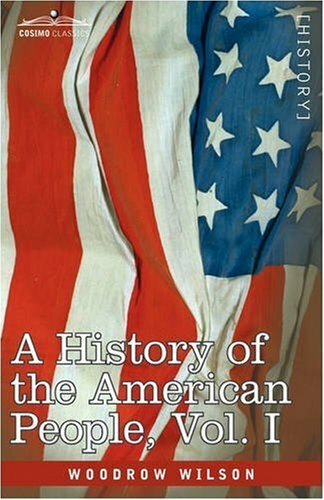 It was during his tenure at Princeton that he penned this five-volume history of the United States, and it reflects many of his ideas and biases he later brought to national politics. This beautiful replica of the 1902 first edition features all the original halftone illustrations. Students of Wilson and of the ever-changing lens through which history is told and retold will find this an enlightening and illuminating work.